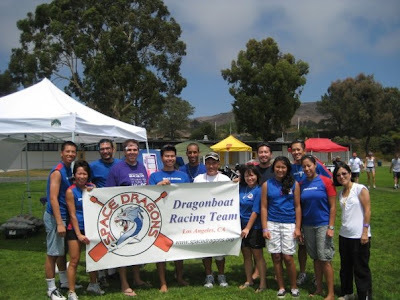 Space Dragons Dragon Boat Racing Team: Space Dragons join the fight against Cancer! Space Dragons join the fight against Cancer! This past Saturday, the team had the distinct honor and privilege to join in the fight against cancer by participating in the American Cancer Society's Relay for Life! 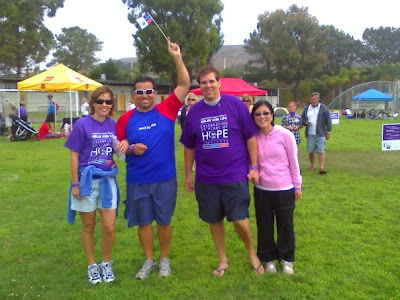 The walk was very personal for our team, with team member "Uncle" Tom just weeks off surgery to remove a cancerous tumor. 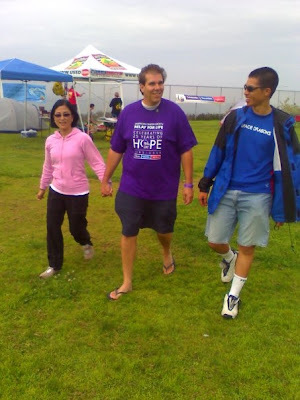 We were all very inspired & proud to see Tom in such good spirits as he walked not one, not two, not three - but countless numerous laps w/ Susan and his team mates by his side. 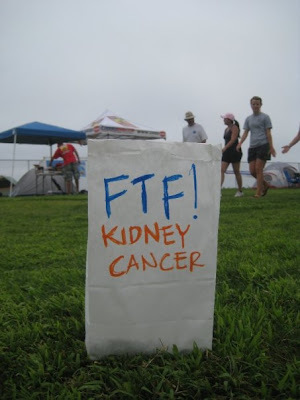 If you feel so inclined and have not already done so, donations to to the American Cancer Society can be made here. 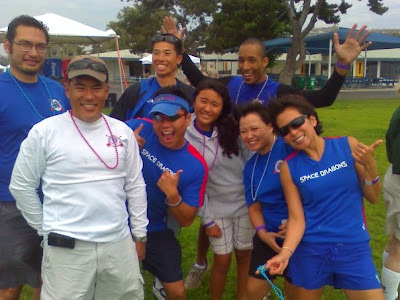 The sport of Dragon Boat brings us together. From there, the bonds made support all of us through the various challenges life throws our way. SD Family!